Hello! So today I am doing a tag that was make by Khadija, it's called the Eight Fall Loves! She tagged me to do this and thought I would finally get around to doing it! This is such a pretty shade for autumn/fall, it is a dark pink shade but has beautiful gold shimmer running through it! It's not super shimmery but just gives your cheeks a pretty glow! This is not really a "bright purple" it's quite dark to be honest! I love purples and this is beautiful! This is probably one of my most worn shades! I love deeper colours for autumn so this is perfect! 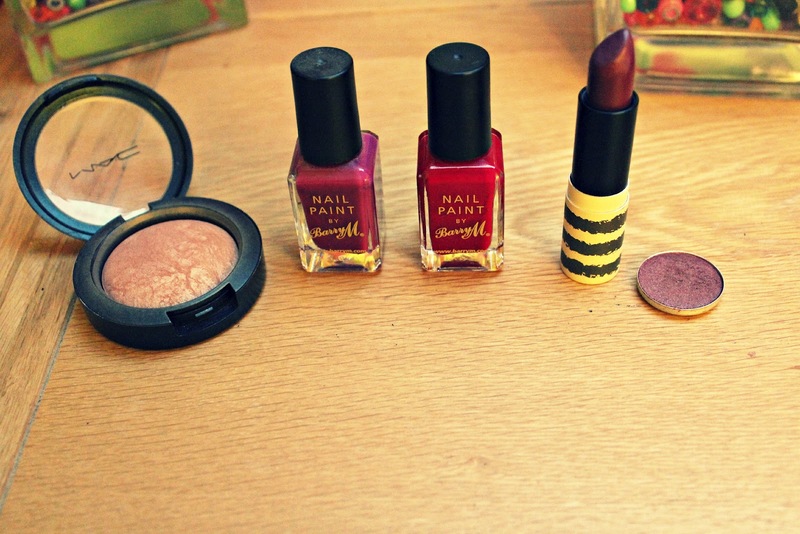 Dark shades are perfect for autumn and I really love the Topshop lipsticks! The consistency is really nice, they don't dry your lips out but are matte! This is fast becoming one of my favourite eyeshadows! It's so pretty! For the past few days I've been putting this all over the lid with a dark purple colour on the crease and outer corner, they look really pretty blended together and the perfect eye look for this season! 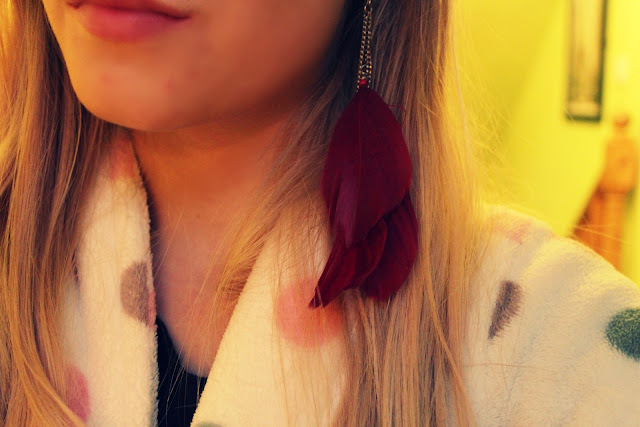 I love feather earrings and these are the perfect autumn shade! And yes I am in my dressing gown! Haha! My house is so cold at the moment so I'm stuck in my dressing gown permanently! As the weather is getting colder (and a lot wetter here in England!!) I prefer to wear boots to keep my feet warm! 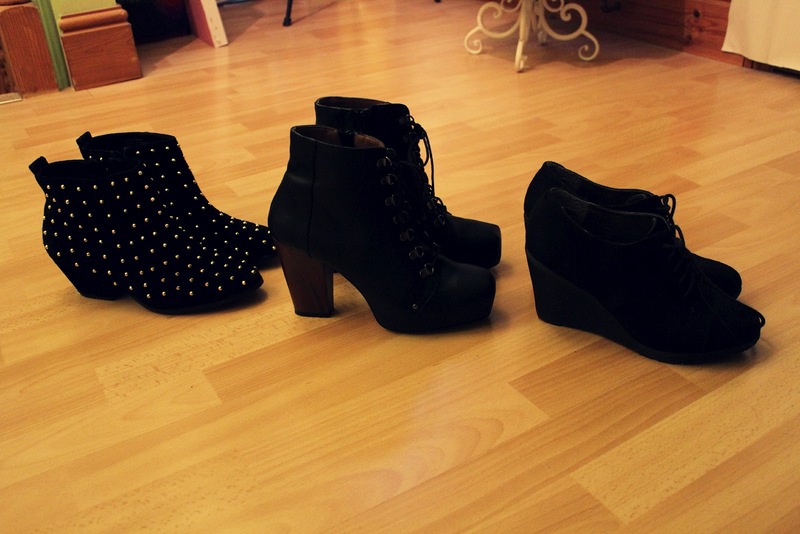 As well as keeping my feet warmer than other shoes they are also pretty! 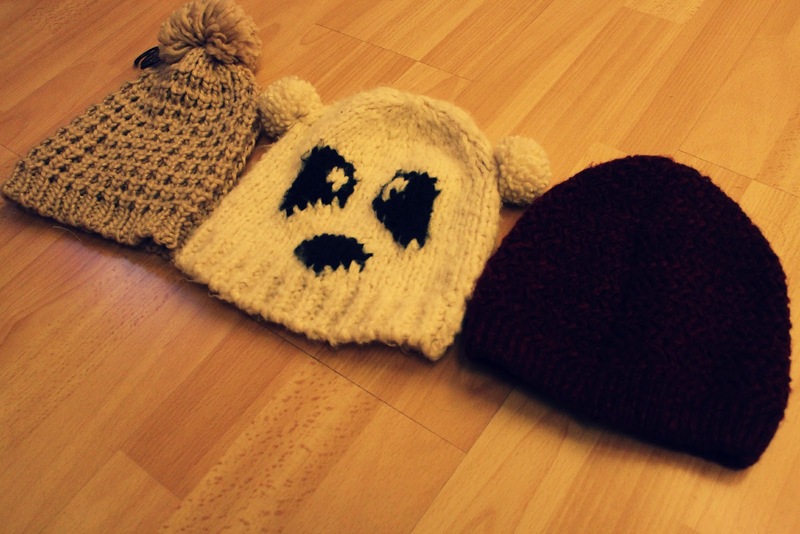 I love a good beanie! These are great for keeping you warm but also make an outfit look a little bit cuter! I love the weather, it's not too cold but it means I can layer clothing together which I love doing! Do you go trick or treating if so what are you planning on dressing up as this year? I never really celebrate Halloween! Although maybe I will dress Phoebe up as something! So there you go! If you guys want to do this post feel free! I'm meant to tag people in it but I prefer to just tag everyone! If you do this post please leave the link in the comments as I would love to read your posts! Also, I'm so sorry the photos are not great! I took them when it was dark and so the lighting is awful! I was so busy today, I was at college, then came home, started making and designing a website for my sister (while feeding Phoebe at the same time!!) So I've had hardly any time to myself today to do anything!! What are you favourite fall items? Awww, you've made me REALLY want that blusher now! Bad times!! your photos are so good!